The landscape photographs of Jin Lee are the result of meandering journeys through the prairies of Central and Northern Illinois where she has lived for the past six years. Usually unpopulated, Lee’s elegant studies record the uniformity of plant structures and the subtle shifts between stillness and movement, similarity and difference, caused by weather patterns in her local nature preserves. 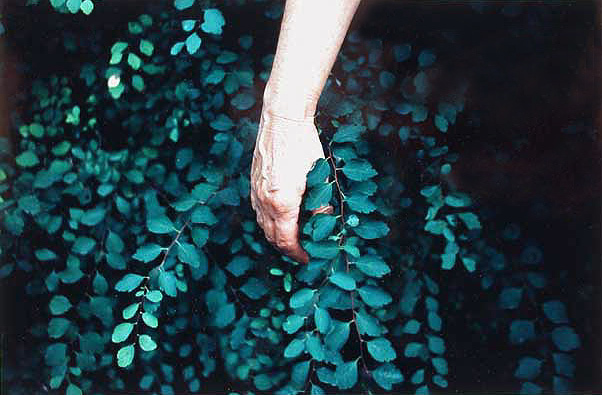 Lee introduces the exhibition of these works with a small grouping of photographs depicting isolated, pale female body parts encircled by dense greenery. These highly ambiguous pictures set the stage for our experience of the rest of the exhibition: embedded in our imagination, the anonymous, pallid “figure” haunts our viewing of the ensuing scenes in which people play no part. As the historian Simon Schama has described in Landscape and Memory, the myth of the Edenic forest, typically the setting for romance and fairytales is lodged firmly in the annals of Western culture. Lee’s photographs make manifest the idea of landscape as cultural construct as she demonstrates that these highly charged locales are ripe for inciting the imagination. Lee has a BA from Wellesley College, Wellesley, Massachusetts (1983) and an MFA from The School of The Art Institute of Chicago (1988). Her work has been exhibited widely in the United States, Europe, and Korea, and is held in numerous collections including The Art Institute of Chicago and the Los Angeles County Museum of Art. 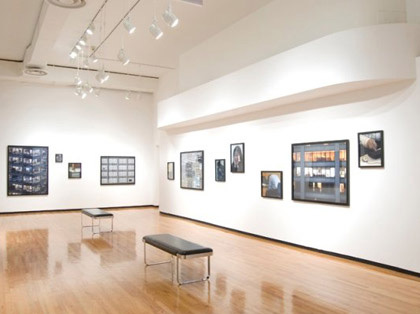 She is currently an associate professor of photography at Illinois State University.